Pipedrive is well suited for small to mid-size companies that are in need of an inexpensive customer relationship management tool. If users within an entity are struggling to keep up communication between their organization and an outside (or internal) entity, the tool offers a great amount of easily accessed visibility. I've been told that some of the more robust platforms would better suit larger companies. For example, a large marketing firm might be better off with one of Pipedrive's more robust competitors. 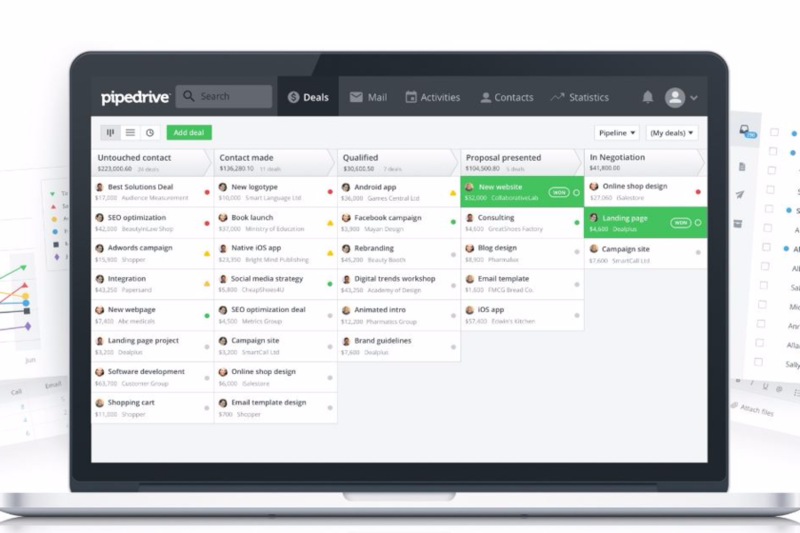 That said, my team and myself have been extremely satisfied with Pipedrive. Extremely intuitive and clean user interface. There aren't a lot of unnecessary bells and whistles involved. Dashboard features were perfect for tracking numerous sales pipelines. Reporting features were easy to use and highly customizeable. The email builder really needs an open HTML section to allow you to easily embed code in your email. It's not easy to view the complete number of contacts when over 10000. More help documents on their site would make using the campaign feature better. Some of the set up is difficult, especially when it comes to specific types of automation such as email. I have noticed sometimes emails show up and other times it does not. There are glitches especially when pasting images into notes. I wish they warned us before updates happen so we are always in the know. Excellent support but had one issue that I was told was not an issue by later discovered to be a bug. Saleforce - Too expensive.SugarCRM - Versatile. Free. But Slow.Filemaker - Originally designed my own CRMWhich gave me full control of all functionality. But having an online system that is hosted in the cloud provides considerable advantages particularly when allowing access to remote users. CapsuleCRM was our go-to system up until now and it did a very decent job. Where it lacked, however, was its visualization of the sales process. It also bothered us that outstanding tasks could not easily be removed if they piled up AND they were taking up a great deal of space on our main login dashboard - more a problem at our end but still something we didn't enjoy. Pipedrive has a cleaner and simple layout with more power behind the scenes - we couldn't be happier. My staff has found this system very simple to use and adapt to which has allowed us to use its systems to work harder and faster in short order. We have two companies with separate clients and staff so having the ability to quickly switch between companies within the same account has saved us valuable time and money.